Everybody knows Nick's Doug versus Disney's Doug is no contest (Nick's was WAY better), but maybe you can't articulate precisely why the Nickelodeon version of Doug was better than the Disney version. Well, there are in fact a lot of reasons, and most of them are due to behind-the-scenes issues that you probably haven't heard about. But first, let's reminisce about Doug. It was a popular cartoon in the '90s, created by Jim Jinkins, about an average kid going through average trials and tribulations. He had an active imagination and a great taste in music, and for all those reasons, Doug was immensely relatable. The show ran on Nickelodeon from 1991-1994 but was acquired by Disney, where it ran for another few years – from '96-'99. And it was with the Disney acquisition that it went downhill in a hurry. This list explains the many on-screen and behind-the-scenes changes that made Disney's version of Doug so much worse than Nickelodeon's. The Nickelodeon Doug had a jaunty little number for the intro of the show (doo, do-do, do-do-do, doo, do-do, do-doo! ), and Disney did away with it. Disney's version was a whistled tune that tried to keep the spirit of the original's but fell short. It maintained some elements, like a background electric guitar for points of emphasis, but also added some things to try to make it its own. While that's totally reasonable, there was a section of the Disney version that inexplicably had a Scottish lilt, and it was just weird. The Beets – an obvious homage to the Beatles – was Doug's favorite band. The thing about the Beets, though, was that they legitimately had some good songs! "Killer Tofu" and "I Need More Allowance" were absolute jams. And, for whatever reason, they were just 86ed. It was part of a larger degradation of music in the new version as a whole. Music was a staple in Doug. It was part of the show's identity, its DNA. 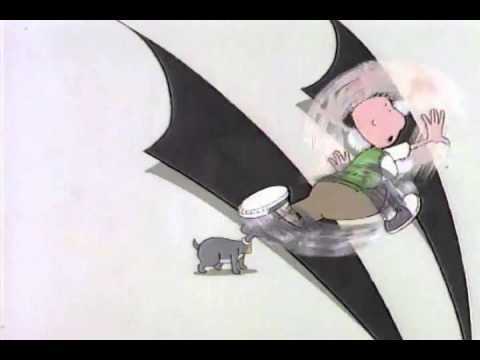 Whether it was the awesome original theme song or just the little musical riffs between segments or associated with characters (the scatting and makeshift drumming), it was all a part of Doug's fabric and it was unique to the show. It deviated from the formula of other cartoons, much to the show's advantage. But the Disney version lost sight of that. There was still some musical presence, but it was a hollow shade of Nick's version, and it just didn't feel like Doug. Billy West voiced the titular main character, but he did not remain on the show when it switched networks due to contract disputes. It doesn't matter what the show is, when the main character's voice actor changes, it's bad news. And when it happens in a beloved children's show, it's a disaster. Then there's the fact that Billy West is one of the most well-known and skilled voice actors around: He voiced a number of characters on Futurama – including the main character, Fry; a variety of Looney Tunes characters; both Ren (for a couple seasons) and Stimpy; and of course, the red M&M from the commercials. Meanwhile, you've probably never heard of Disney's Thomas McHugh. Jim Jinkins was not pleased when the transition to Disney happened. “The switch made up some of the most painful evolutions I’ve ever had to go through,” he told HuffPost. While Jinkins went on to argue the show had a chance at "rebirth" from that point, his initial feelings on the matter were loud and clear. He fought to keep Billy West as the voice of Doug, but was shot down for financial reasons. He lost much of his staff and had to start from scratch. Jinkins even recognizes that Disney's version was not well-loved. "I mostly agree with Doug fans who think the original 104 eleven-minute Doug stories made for Nick were the best," he said. And due to other responsibilities, he was less involved in the new product, which invariably hurt it.